Naming conventions aside, the Chevrolet Bolt brings a more reasonably priced electric vehicle to the market for the 2017 model year. Gas prices are expected to trend higher, possibly increasing demand for all electric vehicles with it. General Motors has decided to embrace controversy after all. In January, at the North American International Auto Show in Detroit, the automaker unveiled the Chevrolet Bolt concept. That pure electric vehicle was well received by journalists and show visitors alike. And within just weeks of the show, GM announced that it intends to bring this small EV to market. What was assumed by some is that GM would throw out the Bolt’s name for the production model, as it sounds too much like the Chevrolet Volt, its established, plug-in hybrid electric vehicle. 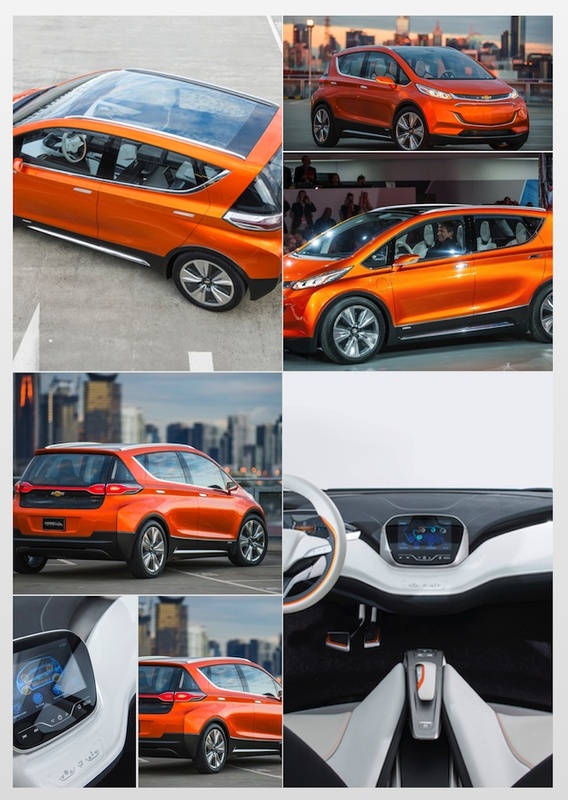 However, Chevrolet’s marketing boss, Tim Mahoney, confirmed last week that the brand is sticking with the Bolt nomenclature when the diminutive EV is released for the 2017 model year. Mahoney confirmed same at a press event held by the Washington Automotive Press Association on Wed. and in a related interview with USA TODAY. So, that will be “B” as in boy or “V” as in Victor when potential buyers inquire with dealer sales staff about the Chevrolet Bolt or Volt, me thinks. Hopefully, any confusion at the dealership level will be eliminated immediately. GM surprised everyone with the concept Bolt’s release. This vehicle, with a final price of about $30,000, has a 200-mile electric range. That range more than triples the capacity of some models, such as the Mitsubishi i-MiEV. Extended range is critical to EV acceptance and at present only Tesla Motors offers models that meet the higher threshold. That GM is pushing forward with the Chevrolet Bolt comes as it renews its commitment to two other EV models — the Chevrolet Volt and the Cadillac ELR. The Volt hit the market for the 2011 model year and the second generation model will debut this summer. The Cadillac ELR, based on the Volt platform, has its first full year in 2014, barely cracking the 1,000-unit sold mark. Nevertheless, an updated version of that model is scheduled, and its price has been slashed by $10,000. Low gas prices are not keeping GM from moving forward with its long-range plans. Most analysts believe that the current gas prices, averaging just below $2.50 per gallon as of this writing, will not hold. Indeed, some have forecast $4 per gallon gasoline will return within the next two or three years. Therefore, product timing means vehicles like the Bolt, Volt and ELR may receive additional scrutiny from potential buyers. The Chevrolet Bolt will be the brand’s second pure electric vehicle. It currently retails the Spark EV, an A-class variant to the gasoline-only model that is itself selling reasonably well. For 2016, GM has reduced the Spark’s price by 6 percent. The two factors that are inhibiting electric vehicle acceptance — price and range — are being aggressively attacked by the manufacturers. Certainly, the $7,500 tax credit offered for pure EVs continues to help, what will allow GM to sell the Chevrolet Bolt for less. Range anxiety, a huge detriment for many buyers, will shrink. Indeed, the second generation Nissan LEAF may also broach the 200-mile range just as Tesla Motors ups the range of its base Model S to 240 miles. Manufacturers and suppliers have also been touting quicker recharging alternatives, including 240-volt charging units in the home and DC fast charging stations designed to provide a full charge in fewer than 30 minutes. Thus, if drivers time their trips correctly, they can stop for a break, recharge their vehicles, and continue with their extended journey. The 2017 Chevrolet Bolt would be one such vehicle that will benefit from this service.